A man has died in a motorbike collision last night. 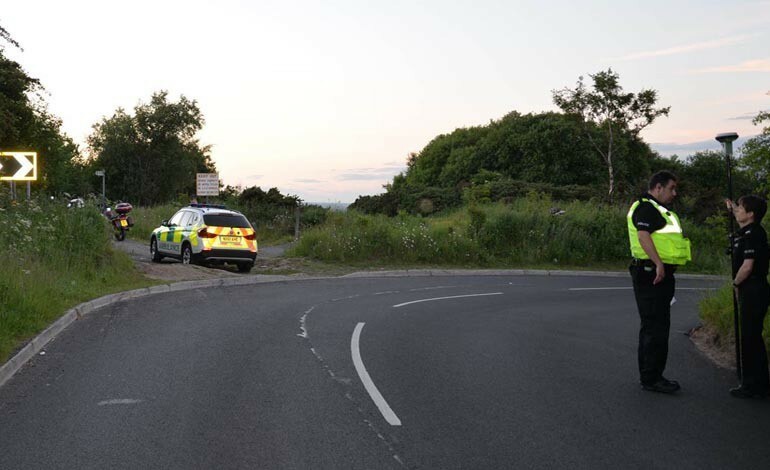 The crash happened at around 9.50pm on Wednesday night on Brusselton Lane, Shildon, between the A68 Royal Oak and the A6072 Shildon bypass. The 49-year-old man from Spennymoor was riding a Suzuki 843cc bike and was with a group of other motorbikes travelling from Barnard Castle to Spennymoor when the collision took place. A 57-year-old woman, also from Spennymoor, and the pillion passenger, was taken to Darlington Memorial Hospital with facial injuries. No other vehicles were involved and no one else was injured. Anyone who saw the collision or the motorbike in the time leading up to the collision should contact police on 101.